Press Contact: Shea Communications Inc.
NEW ORLEANS, June 12, 2009 — Accomplished chefs from throughout the United States will gather in New Orleans on July 18th to compete in the 2009 Great American Seafood Cook-Off, which is presented by the Louisiana Seafood Promotion & Marketing Board. This will be the sixth consecutive year that the popular culinary contest has occurred. The event, which has featured both up-and-coming and celebrity chefs over the years, underscores the importance of cooking with domestic seafood and encourages the use of products from sustainable fisheries. Governor Bobby Jindal of Louisiana recently sent letters to the governors of all 50 states asking them to appoint a chef to compete in the event. To date, 12 states have registered chefs including Kentucky, Idaho, Illinois, Maryland, Maine, Mississippi, New Jersey, New Mexico, Rhode Island, Texas and West Virginia. Louisiana will be represented by Chef Tory McPhail of Commander’s Palace. The 2009 Great American Seafood Cook Off is endorsed by the National Restaurant Association and will be audited by the National Fisheries Institute. Sig Hansen, the commercial fishing captain who stars in the popular documentary television show Deadliest Catch, will host the 2009 Great American Seafood Cook Off. Hansen began fishing at age 14 and currently captains the Northwestern, a fishing vessel based in Seattle. 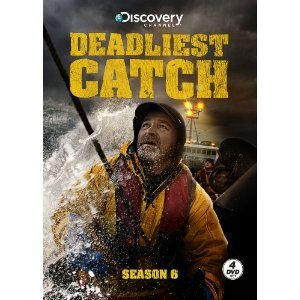 The Northwestern won the final derby seasons for king crab (2005) and opilio crab (2006), taking home titles for both the highest poundage caught and the highest dollars earned among the boats featured in Deadliest Catch. The Great American Seafood Cook Off will take place at Ernest N. Morial Convention Center in New Orleans during the Louisiana Foodservice Expo. Open to the public, the event asks attendees to make a $5-$10 donation at the door. This donation is for cook-off entry only and does not include entry into the expo. The Cook Off will begin at noon and conclude at 4pm. Participating chefs will create unique dishes with domestic seafood, and utilize fish that’s native to their home state whenever possible. Prior winners of the Great American Seafood Cook Off include John Currence of City Grocery in Oxford, MS, Tim Thomas of the Ocean Forest Golf Club in Sea Island, GA, Justin Timineri, Executive Chef for the Florida Department of Agriculture and Consumer Services, Randy Evans of Brennan’s of Houston, and John Besh of Restaurant August in New Orleans. Great American Seafood Cook Off sponsors include NOAA and FishWatch, Michelob Brewing Company, Whole Foods Market, Loubat Food Service Equipment, Louisiana Restaurant Association and the Royal Sonesta New Orleans hotel. Acknowledgement is also in order to the supportive seafood organizations; the National Fisheries Institute, Gulf and South Atlantic Fisheries Foundation, Texas Department of Agriculture, Jones Seafood Solutions, Louisiana Seafood Promotion and Marketing Board and Louisiana Department of Wildlife and Fisheries. A special thanks also to media sponsors, Gulfscapes Magazine and Louisiana Public Broadcasting.